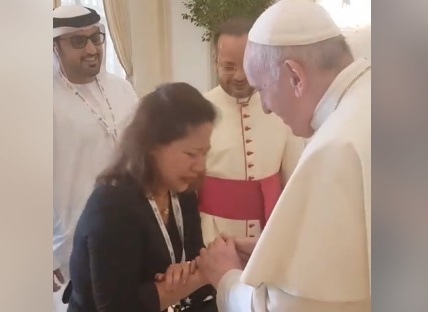 Abu Dhabi: A Filipina who was crying profusely was comforted by Pope Francis on Monday. Sally Mallari could not contain her emotions while waiting at one of the exits of St. Regis Abu Dhabi, knowing that Pope Francis would pass by any second. In a 1.15-minute video she posted on Facebook, the Filipina mother of two was seen crying while waiting with colleagues. Once she saw the Holy Father approaching, she ran to Pope Francis who mmediately extended his right hand. "Thank you. Thank you," she said while kissing the pontiff's hand, her head bowed. The Pope uttered no words but consoled her in the brief encounter. Moved, Pope Francis touched her head and blessed her. The rest of the exchange was inaudible. 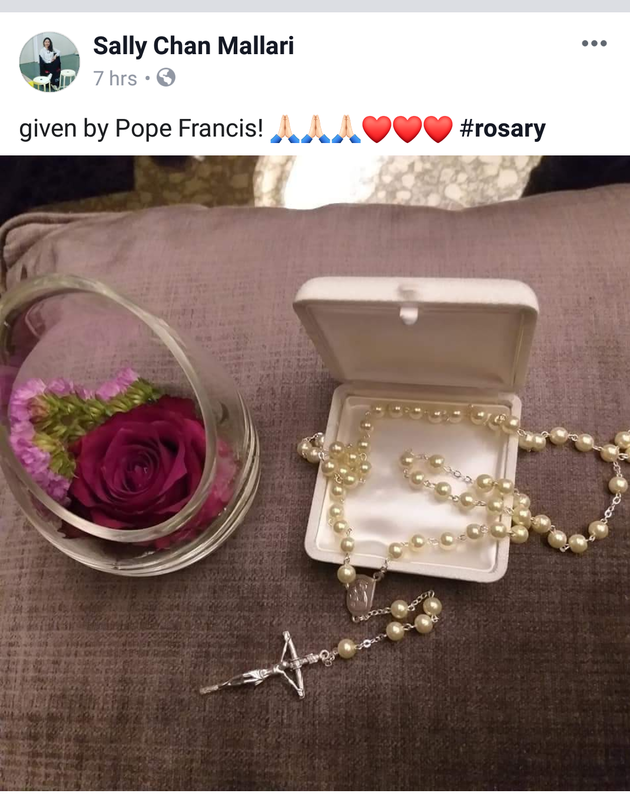 In her Facebook post, Sally said Pope Francis gave her a rosary as a gift. Sally had been a widow for 13 years and is the sole breadwinner of her family. She worked her way up, starting as a cashier. She works as a personal assistant to a dignitary in the UAE.